Apple doesn’t often give more than 2x on portals. When they do it’s usually for one day. Today is such a day with Apple on Alaska’s Mileage Plan shopping. 1st, you’ll have a “mystery bonus” – likely 500 miles when you spend $200. 2nd: Recognize that people tend to wait and wait and wait for a solid chance to get a nice portal return from Apple. 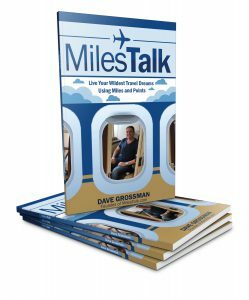 My preferred portal is Alaska Mileage Plan as I find Alaska miles very valuable and less easy to earn than most miles. And today, right now, and for probably one day only, Alaska’s portal is offering 5x. The Apple Store on Cashbackmonitor.com is showing only 1x as of now, so it probably just launched. You’ll see this. Some products like iPads and some phones are excluded so read the fine print. I just picked up a new MacBook Air. Use the Mileage Plan shopping portal to get the deal. Buying some Apple gear today? Do you stalk portal opportunities on big purchases? Let me know here, on Twitter, or in the private MilesTalk Facebook group.